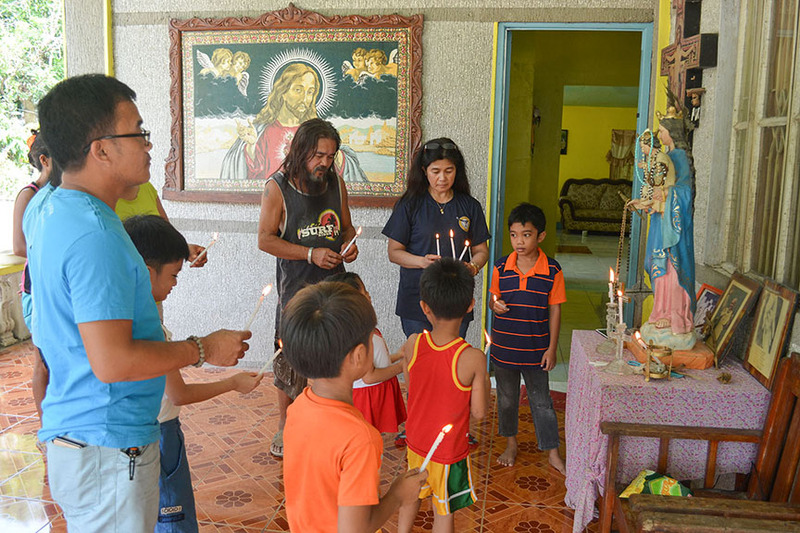 NORALA, South Cotabato (MindaNews/02 June) – Family members of Fr. Teresito “Chito” Soganub are praying for miracles for his and the other captives’ safe release from the hands of the Maute group in Marawi City. “We’re praying for the Lord for miracles. We’re also praying that the hearts of the captors will be touched so they will be safely released,” Marilyn Soganub-Ginnivan told MindaNews Thursday here. Marilyn, the fifth among the six Soganub siblings, said they’re also hoping that Muslim religious leaders will help work for the release of the priest, who was abducted along with some church workers at the St. Mary’s Cathedral in Marawi City. “He’s well-loved by the Muslims there because of his inter-religious works. He’s been very active in the efforts to harmonize the relationship between Christians and Muslims there,” she said. 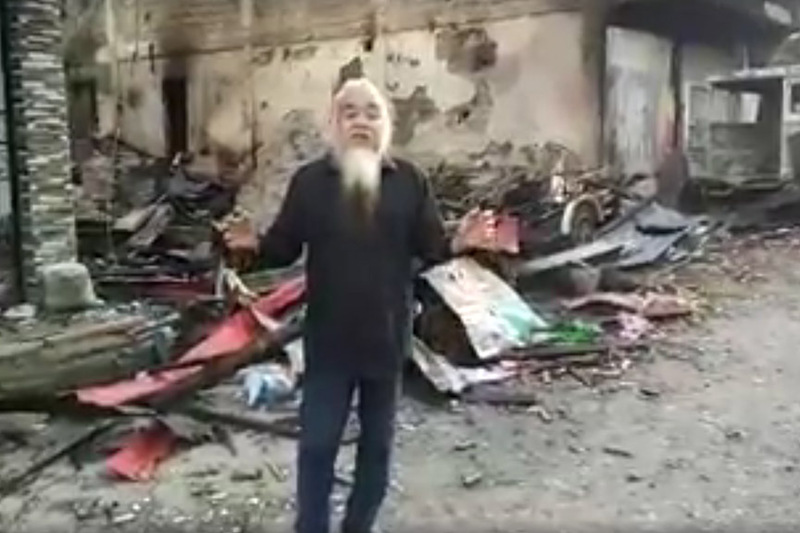 The 57-year-old priest, vicar general of the Prelature of Marawi, grew up in this rustic municipality. He has been serving the prelature for 22 years now. He is the eldest in the brood. Fr. Chito’s family members and friends have been offering prayers daily at their ancestral house here since they confirmed on the second day of the Marawi siege that he was abducted by the Maute group. 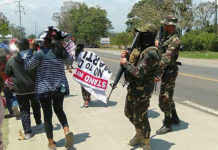 Clashes between government troops and the Maute group erupted on May 23 in Marawi after law enforcers reportedly tried to arrest Abu Sayyaf leader Isnilon Hapilon, who, according to the military, is being protected by the local terror group. 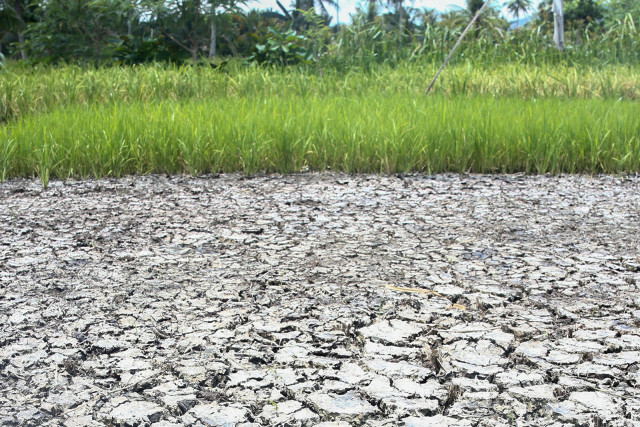 The hostilities prompted President Rodrigo Duterte to place the entire Mindanao under martial law. 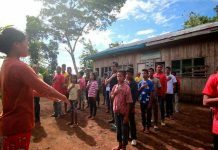 On Tuesday, the priest appealed in a video posted on the internet asking Duterte to pull out the government troops or stop the military offensives in Marawi. He spoke amid a backdrop of rubble believed to have been caused by gunfire. Roqueto, the third of the Soganub siblings, confirmed that it was his brother on the video. “We are happy to see him alive,” Roqueto said. “We are praying that the captors will release not only our brother but the other captives as well,” he added. Roqueto said that Fr. Chito, “Tisoy” to his family and friends here, is the “ace” that the Maute group is holding, the reason the video showing him appealing was released by the terror group. The Maute group is in a critical situation now, and they are using the priest in their favor, he added. Marilyn said she had sleepless nights knowing that the life of her older brother is in danger. She said that Fr. Chito (Teresito) was named after St. Therese of the Child Jesus and the Holy Face. “I prayed for her intercession as well as of the other saints, including Filpino St. Lorenzo Ruiz, for my brother’s safe release as well as the other hostages,” Marilyn said. Fr. Chito always wanted to be a priest, said Roqueto. “He (Fr. Chito) was an altar boy during his younger days,” said Roqueto, who noted that they are the closest among the siblings. Both Roqueto and Fr. Chito sport long hair and long beards. “We grew up in a religious family. Our late parents were lay religious leaders in the locality,” Roqueto said.